i made this blog a little bit halfway through my 2nd year at university so i`ll summarise semester 1.
i had two classes and one of them was digital media context. it was a lot of fun,definitely one of my favourite classes from my time studying so far. during the start of the year we had a lot of lectures going into the theory of creation and how the mind works in relation to digital arts. it was all very new age and confusing for me,luckily it was hugely irrelevant as all we had to do was create a piece of work inspired by an artist of choice and an essay about the creation and inspiration process. 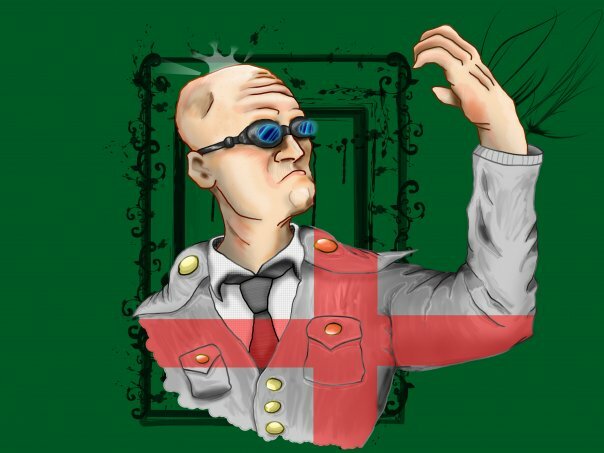 my artist of choice was Andrew Jones (here is his facebook) he has a broad array of styles,but the main technique i wanted to copy from him was his recorded digital drawings with a tablet, not only was this my first time using a tablet but my first time recording my works too so it was a lot of fun. 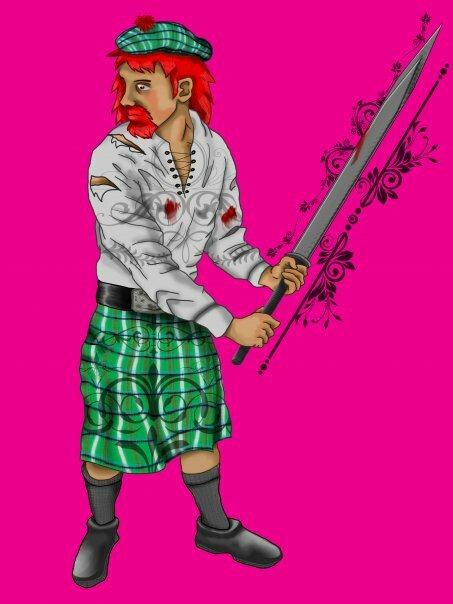 Edward the 1st designed as Williams goofy sidekick.due to a plot twist he is tricked by the evil english scientist and joins sides with william wallace to fix the damage that the time machine has done. 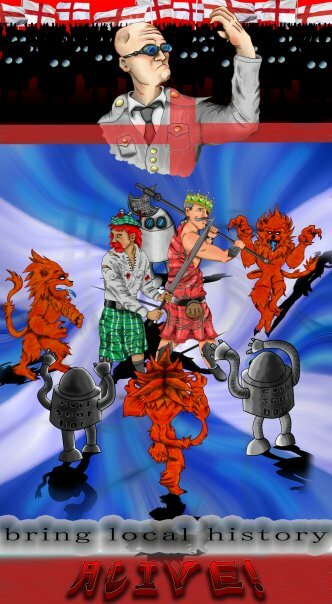 evil scot bots enemies designed by the evil english scientist. they use their stretchy arms to attack,in a similar fashion to bender from futurama. red lions these beasts are creatures which roam the overworld in the game and attack the players on site. 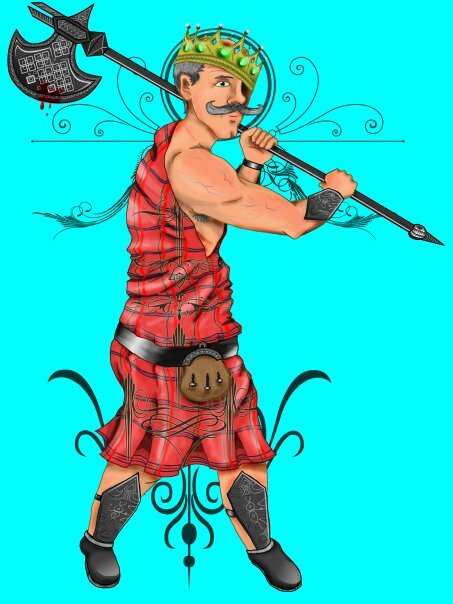 inspired by the scottish flag design, these characters are here to enforce the fantasy and mythological vibe of the concept.